The Fields — Pre-Order Event! 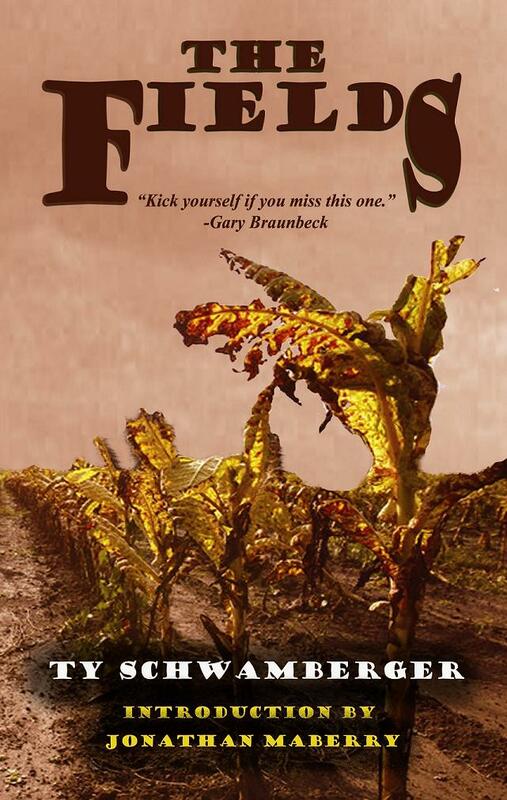 Lexington, KY December 15, 2011 – The Zombie Feed Press, an imprint of Apex Publications, is pleased to announce the release of THE FIELDS by Ty Schwamberger in Trade Paperback and eBook. — Joe McKinney, author of Dead City and Apocalypse of the Dead. — Gary A. Braunbeck, Bram Stoker and International Horror Guild Award-winner, author of To Each Their Darkness and A Cracked and Broken Path. — Steven L. Shrewsbury, author of THRALL, BAD MAGICK and HAWG. — Tim Waggoner, author of Nekropolis, Broken Shadows and Darkness Wakes. The Zombie Feed Press will be accepting Pre-Orders for the Trade Paperback from 12/15/11 – 12/18/11. The release date of the novella is 12/19/11. If you order during the Pre-Order event, you’ll not only receive a great book for under 8-bones, but your order will come with FREE shipping AND signed by both Ty Schwamberger and Jonathan Maberry. Click HERE to Pre-Order your copy. AFTER the Pre-Order date, you can still snag a copy of the TPB or eBook on Amazon (which I’ll provide the link for at that time). To watch the book trailer click here. Is a specialty imprint of Apex Book Company, which is also known as Apex Publications. Apex is an award winning, small press publisher dedicated to producing exemplary works of science fiction, horror, fantasy and non-fiction. Based out of Lexington, Kentucky, Apex Book Company is owned and operated by Jason B. Sizemore. In addition to the Pre-Order event, I’m also doing a blog tour after the book is released. Below is where I’ll be, along with the dates. TBA: Jonathan Maberry, Appearance on Rotting Flesh Radio & Jeff Strand’s “Zombie Wars”. Take a chance on a great atypical zombie tale. You’ll be glad you did. Next Post The Fields — Releasing the Horde!